Posts relating to social and cultural activities sponsored by the Retired – United Teachers of Northport or non-profit organizations. R-UTN member Judy Bensimon invites everyone to enjoy the Township Theater Group’s Touring Company’s 17th season, Bumps in the Road. This group of original short plays, both comic and upbeat, is about people embarking on what they hope will be a journey to happiness… or romance…or an exciting new relationship. It is no surprise that stumbling blocks and unexpected challenges are encounter along the way. This season’s five plays will be preformed at area libraries during October, November and December. A schedule of performances can be found on our events page or by visiting the Township Theater Group’s web page. The Boat People by Frank Shima When Sam tries to be a “real Minnesota outdoorsman” on his first date with Liz, they end up marooned in a rowboat on a very empty lake. Voices by Marcia Slatkin A railroad station may be an odd place to seek solace but different folks need different strokes. Trail Mix by Patrick Sherrard Uptight Daisy shows up for a date with “rockstar” Denny but he has to convince her that going on a hike with him is a good idea. The Chat by Jim Azzara A kindly priest, trying to counsel a very angry married couple, invites a newly engaged couple to join the conversation as a reminder of love. The Blind Tasting by Linda Delmonico Prussen Bernie is thrilled with a birthday gift of a trip to France, until he finds out the itinerary. Still time to see the Spelling Bee! 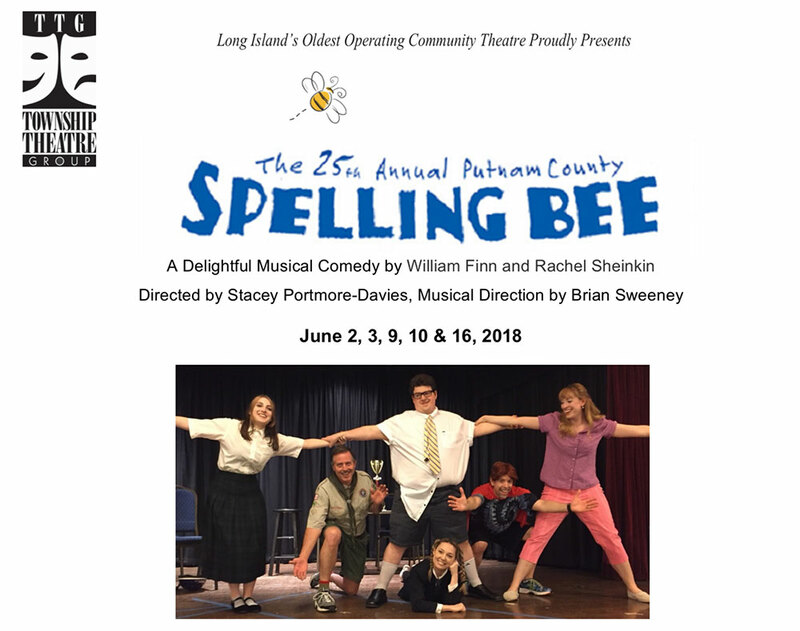 R-UTN Member Judy Bensimon, and active member of the Township Theater Group of Huntington, invites everyone to see this uproariously funny play! 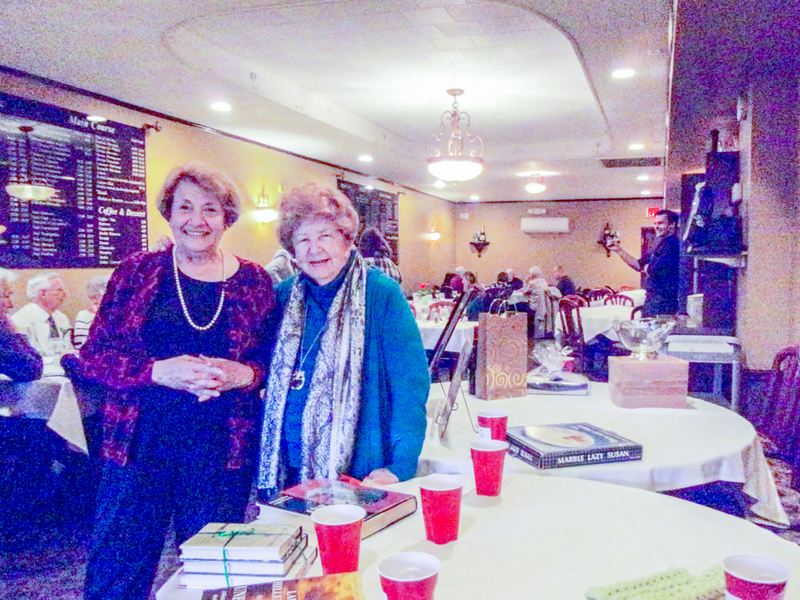 The R-UTN Spring Luncheon was held at La Villini, in East Northport, on May 3. Over thirty members enjoyed a delicious lunch and catching up with friends. Thanks to all our members who donated items to a very successful raffle that helped raise money for our scholarships. Also thanks to Bobbi Scott for taking photos of our good time. A gallery of the photographs can be found in the Picture Gallery of this website.